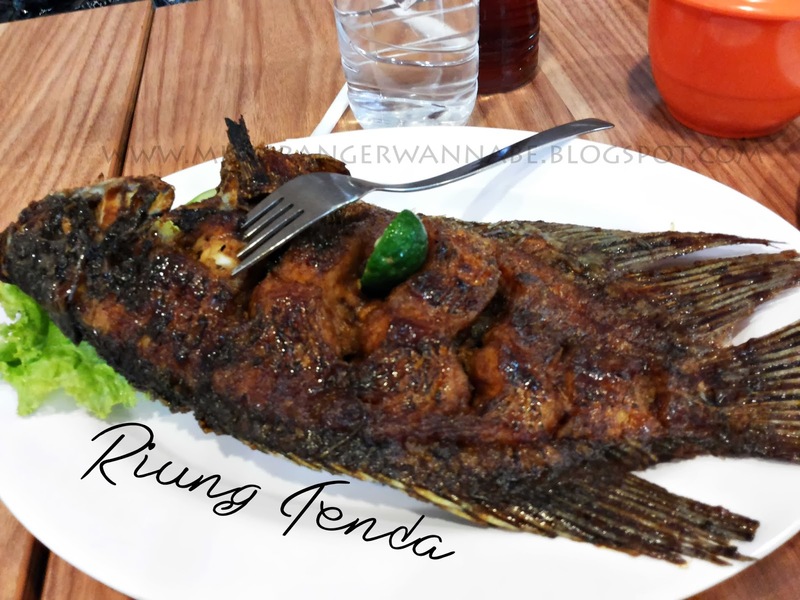 What’s your favorite Sundanese Restaurant? Mine is Riung Tenda. Been eating in this family restaurant since I was kid and never bored with it. I clearly remember how it first like to be. The seats are arranged with Saung style and touch of rattan. Which make it more Indonesian. Now they’ve been grown up and become a modern restaurant style without losing their cultural style. 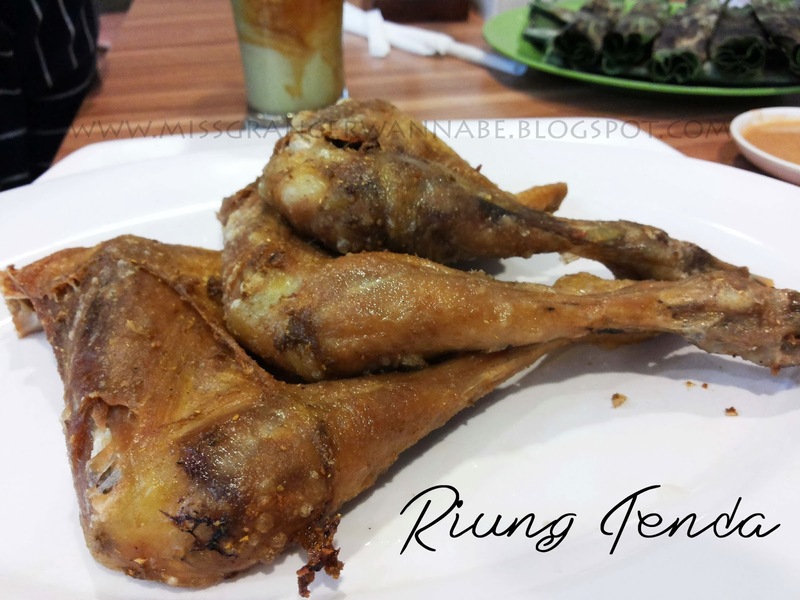 Last Tuesday, my family and I went to Riung Tenda to celebrate my Dad’s birthday. This is his favorite restaurant also, since he only loves Indonesian Foods. It takes about 30-40 minutes from Kelapa Gading to Rawamangun. If you couldn’t find it, just find Tip Top Departement Store Rawamangun. 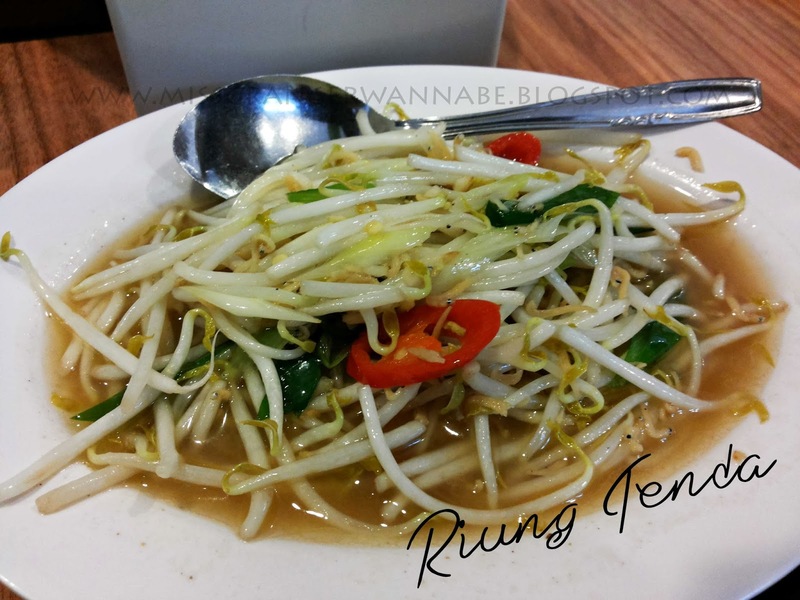 Riung Tenda is across the street of Tip Top. 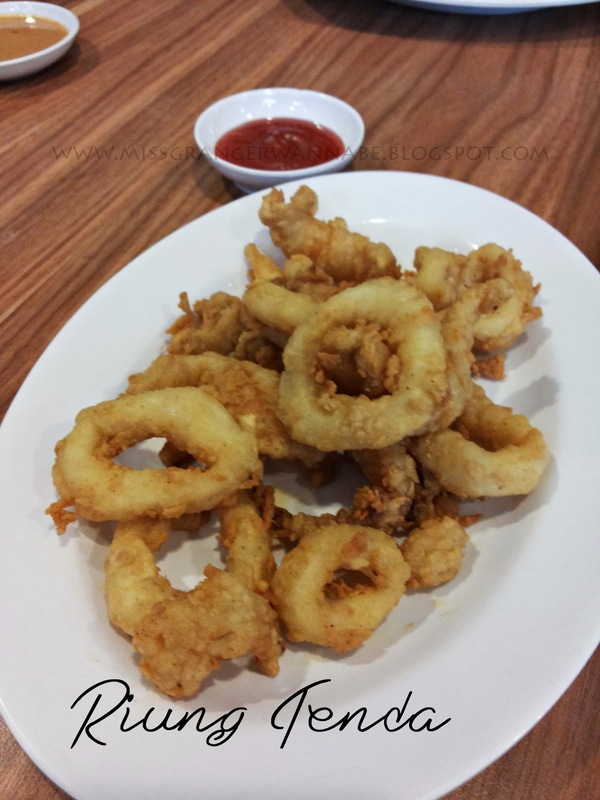 My Fav are Cah Toge Teri (IDR 18.500) and Cumi Goreng Tepung (IDR 38.000). About Cumi Goreng Tepung, they used to have menu combination of Cumi Goreng Tepung and Cah Taoge, which I love it so much. Too bad, they now seperate the menu, that means we have to order 2 menus. 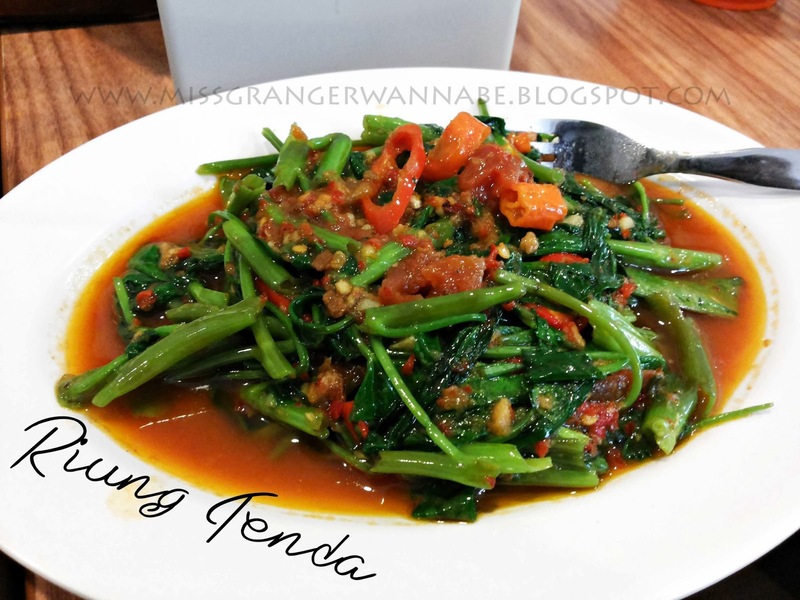 Kangkung Balacan (IDR 17.000) – it’s spicy but tasty! So what’s your favorite Sundanese Restaurant?